According to the National Survey Survey Office (NSSO)’s latest household survey on jobs, there was a rise in the unemployment rate across major religions and social groups in 2017-18. As reported by Business Standard, Sikhs witnessed the highest rate of joblessness, followed by Hindus whose unemployment rate doubled in cities and tripled in villages, in 2017-18, compared to 2011-12. Among Muslims, the unemployment rate more than doubled, and among Christians also, the rate of joblessness saw a rise. If we look at the caste-wise break up, in the rural areas, the rise in unemployment was the highest among Scheduled Tribes (STs) among males and the general category among women. Similarly, among urban males, Other Backward Classes (OBCs) saw the highest spike in unemployment whereas among urban women, the Scheduled Castes (SCs) experienced the same. “The high unemployment rate among SC men could be because of the attack on traditional livelihood avenues of some Dalit castes who work in the leather and meat industries,” Business Standard quoted Ashwin Deshpande, professor of economics at Ashoka University, as saying. The labour force participation rate (LFPR), part of the population working or looking out for jobs, fell for all major religious and social groups, with Sikhs witnessing the biggest fall by 4.8 percentage points, to 36.2 per cent in 2017-18, followed by Christians, whose LFPR fell by 3.4 per cent to 39.2 per cent. 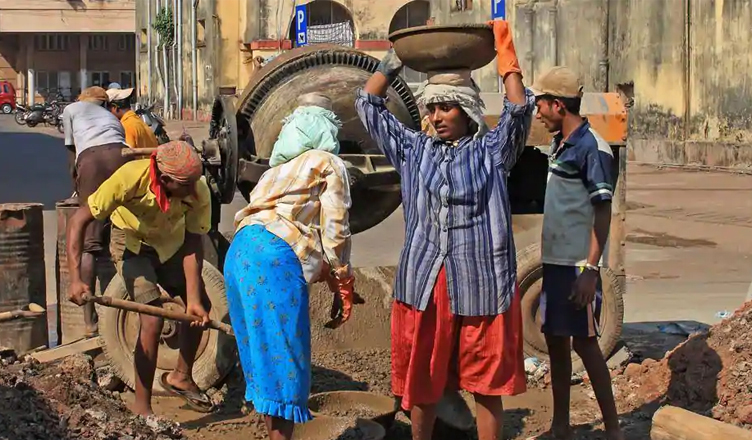 Among social groups, in the general category, the rate of joblessness was the highest among urban females (10.8 per cent) and 7.1 per cent among urban males. “Demonetisation affected the informal sector massively and the marginalised sections of the society got naturally affected. The gap in the unemployment rates is narrowing in rural and urban areas, though it is still lower in the former,” Business Standard quoted Santosh Kumar, assistant professor at Shri Ram College of Commerce (SRCC), as saying.